Inputs - Four balanced, line-level/mic inputs. Outputs - Four balanced, line-level outputs from the network. Volume Settings - Independent input gain/output volume settings per channel. 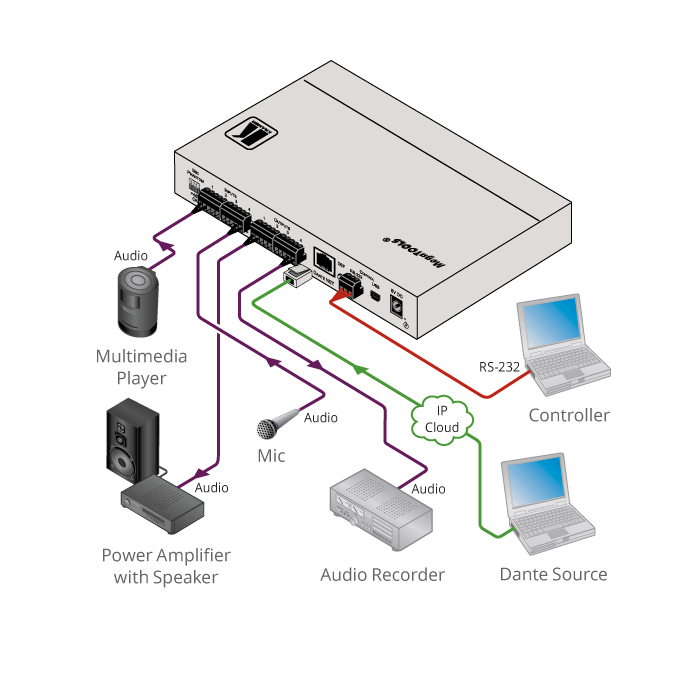 Selectable Input Settings - DIP-switch controlled input settings - line level (0db) or mic level (+20dB) with phantom +48 volts. Versatile Control - Via the Dante IP control matrix or Kramer Protocol 3000 via RS-232 connection.